new Application under Tool---> Application Manager--> Application ---> Register New Application it response me nothing that's why I cant register my autocad and solidworks application. Is there something wrong about my installation? When you installed WWGM on the server did you select to install AutoCAD and SolidWorks on the Workgroup Manager install screen in the PSI? Yes, I did check the option for that. Are you getting a particular error when you try to register? If so, can you provide a screenshot of the error? Does it make a difference if you run the WWGM client as an administrator? 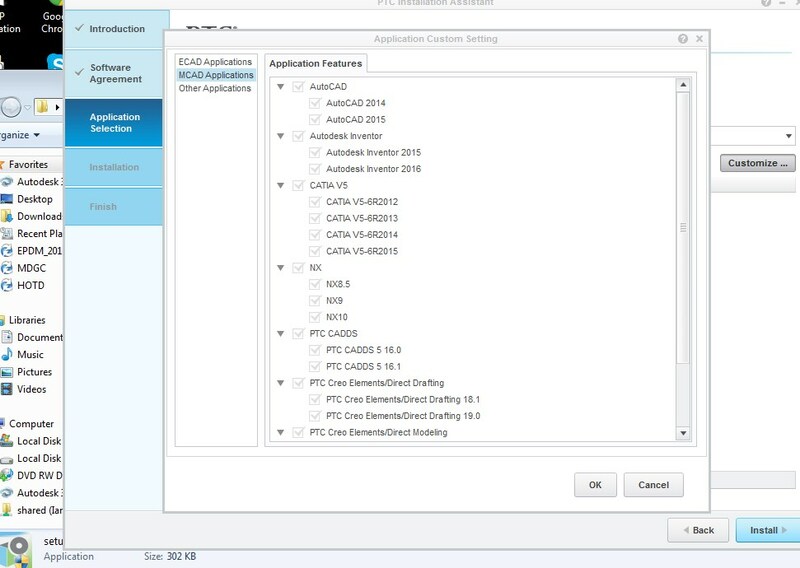 What versions of SolidWorks and AutoCAD are you trying to register? I recorded a video clip on what happens. As you can see I'm connected on my windchill server and when I register new application, nothings happen. No option for my CAD Application. What version of the CAD applications are you running? Is it possible you are running into something along the same lines as the issue documented here?